Linux Mint Debian Edition (LMDE) is the edition of Linux Mint that is based on Debian Testing. Like the edition of Linux Mint based on Ubuntu, the installer of LMDE lacks support for LVM, and disk encryption. 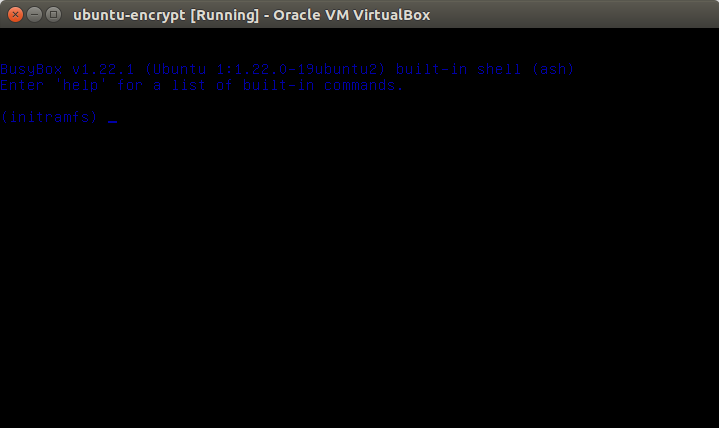 This tutorial presents a detailed guide on how to install LMDE on an encrypted LVM file system. But how is that possible if the installer lacks support for LVM and disk encryption? Easy. 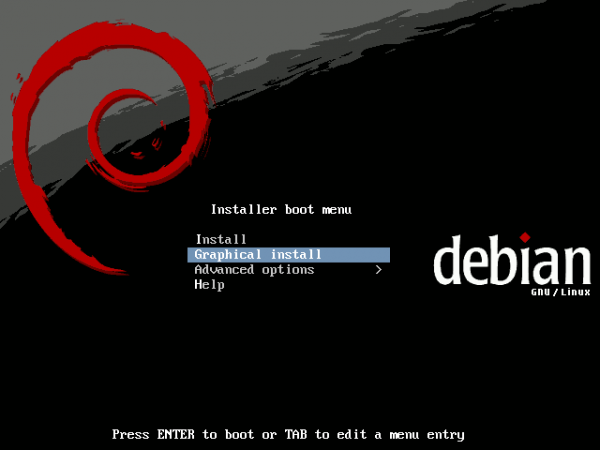 First, install a base Debian Testing system using a Debian Testing installer. Second, point the package manager to the default LMDE repositories. At the end, you will be running a system with an encrypted disk, which means another layer of physical security for your data, and one that makes it possible to manage disk space in a manner that is not possible otherwise. 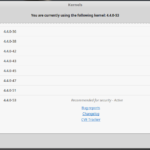 Linux Mint Debian Edition Update: It is not necessary to download the LMDE installation image. You will not need it to complete this tutorial. Note: This tutorial assumes installation on a computer with one hard disk and no other operating system on it. You can adapt it easily to install it in a dual-boot configuration with another operating system, like Windows. To begin, boot the computer from the Debian disk. The default boot menu option will take you through an ncurses-based installation routine. For a more user-friendly installation, select the option shown in the image below. Enter. To reduce the number if images used in this tutorial, the images for Language, Location (country), Keymap, Hostname, Domain name, root password, User account (three images), and Time zone, have been omitted. Because Debian defaults to a non-LVM disk partitioning scheme, you will have to choose one of the LVM options or the manual option, if you know what you are doing. Note that if you choose the encrypted LVM option, the installation process will take a little bit longer. Continue. At this step, the installer will present the hard drives it found on the computer. If you have more than one disk, select the one you want to use for the installation. Continue. The Debian installer offers three partitioning schemes. If you choose he first option, the installer will create a swap partition and one system partition. Though the installer recommends that for new users, I say pass on it. The second option, for most users, is better. The third option has its advantages, but we do not need that on a desktop computer except if you want it that way. Continue. This is where you specify the passphrase that will be used to encrypt the disk. For added security, the passphrase should not be the same as the password of any user account on the system. Continue. Hi there and thank you for this great howto. In the meantime the domain name of “www.debian-multimedia.org” has changed to “www.deb-multimedia.org”. Maybe you’d like to update that. Thanks, but much better if the domain owner set up a redirect. Have several challenges thus far. Installing on laptop which has 3 primary partitions already, a boot a recovery and C:. An unkn virus damaged Win7, took the opportunity to redo the drive. Expanded boot sector from 100mb to ~500mb to allow for LMDE non-encrypt grub. Created through much error (days of guessing) an encrypted-LVM 50G/root 10G/swap 350G/home partitions for LMDE. Still at CLI, pls advise. I would like LMDE, not just looks like, ready for update to announced 3/25/12. Quite a noob, struggled this far. Issues with installation of packages might have more to do with the state of LMDE itself. I haven’t seen any updates about it since it was first released, and with all the projects that the devs are taking on, I see no indication that LMDE will be getting much needed attention any time soon. That aside, have you tried installing individual packages as given here? 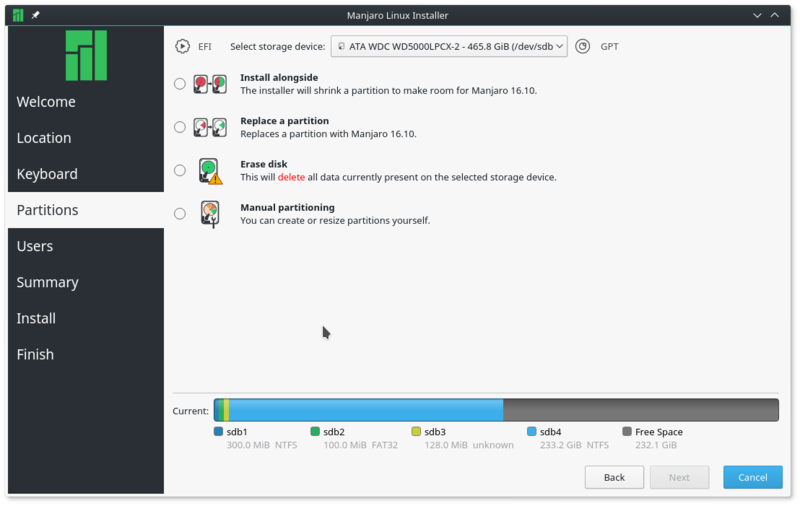 And about your partition sizes, what are you doing with a 10 GB Swap partition? Great tutorial but I have a question. mint-meta-debian: depends: gstreamer0.10-pitfdll but it is not installable. Broken packages. Check your sources.list to make sure that you are not mixing repos. If your repos are fine, then run apt-get install –fix-broken mint-meta-debian. Ok, it looks like the gstreamer0.10-pitfdll package is no longer in the repository (or is broken). To verify, I uninstalled it from my test system and could not reinstall it. If you run the LMDE Live DVD, you will see that it is installed by default. I think this problem is related to the recent attack on Sourceforge. The article has been updated to give the command that works. I think another method of getting around this problem is to add the LMDE installation DVD in the /etc/apt/sources.list file, so that all the packages are installed from it. You can then run apt-get install mint-meta-debain. Update: Do not try this. It will not work. I will try as you suggest. Glad to see that the problem I identified was legitimate. 1. apt-get install -m mint-meta-debian does not work. 2. when attempting to install those packages individually, certain are not found, like mint-artwork-gnome (did you mean art-work-debian? ), mint-artwork-common, and maybe others. Note: These are not found, so the gstream issue does not seem to apply. 2. software sources – can not change sources. 3. synaptic package manager – works from desktop and works. 4. update manager – not sure if it really works. 5. uninstalling epiphany did not appear to cause firefox to install. so I installed the firefox english pack first, then firefox and it installed the english firefox. In general, the approach you outline does work. You can add Lenny repos to fix the problem. After being accustomed to “inteli” installers for RPM based distributions, I must say that Debian has an impressively smart installer – offering to do exactly what I want it to. 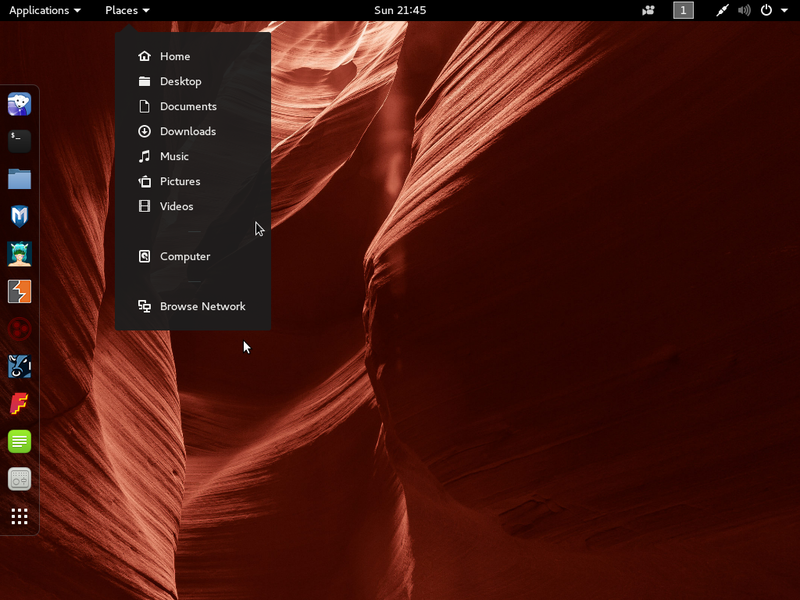 One question: in Debian-testing, is Nouveau 2D/3D driver installed by the first Debian DVD, or will the drivers be added by the Mint meta package? Nice! 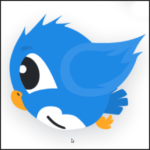 I’m using Crunchbang (based on Debian Squeeze) so I think it should also work? Is there a way so the passphrase will be transaparent? I mean just like Ubuntu? I don’t need to enter it each time I boot my machine. I do not see how you can do that, but even if you could, it will defeat the whole point of encrypting the disk. And that is that anybody trying to reboot the computer, must supply the passphrase for the machine to reboot successfully. It is the best, direct physical security layer for your data. Auto-login is a very convenient tool, but it creates a hole in the (physical) security posture of your computer. Great tutorial! I have not performed this step-by-step but I a question. When is the Debian Mint Installation image used? It seems that the Debian install disk is used to install a basic Debian system, the apt sources file is modified to point at LMDE repositories, and a system upgrade is then performed. Is this correct or am I missing something? Great catch! You are right. The LMDE installation disk is not needed. I should not have put it in there. The article will be updated to reflect that.